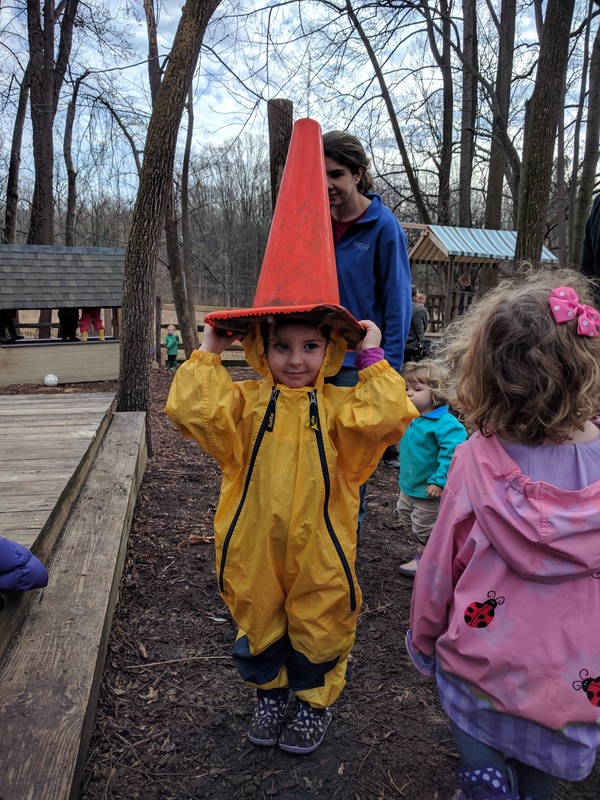 What a wacky weather week to be at Nature Preschool! 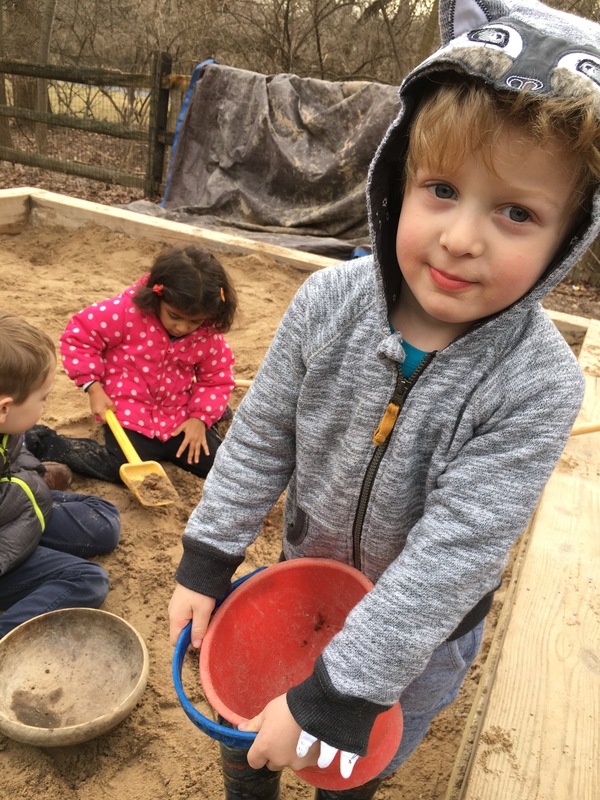 This week at Audubon, the Detectives experienced it all! 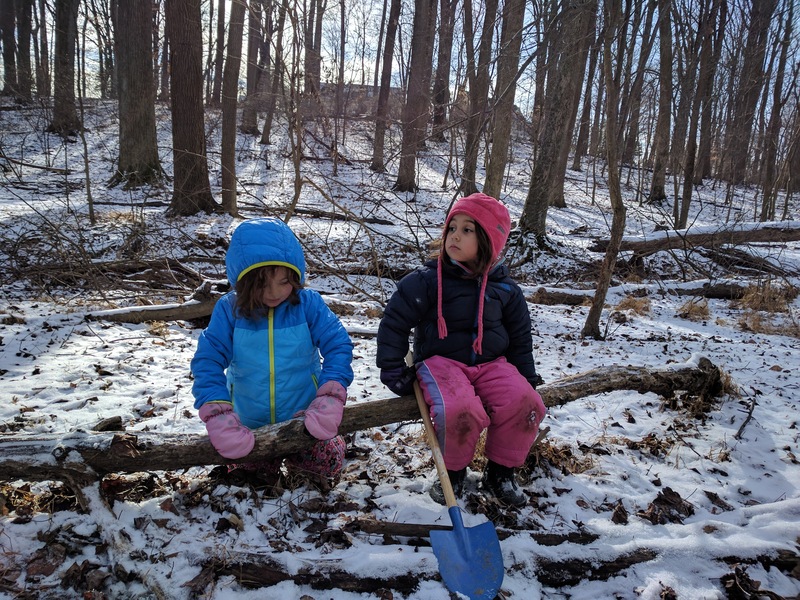 From snow, ice, mud, to sun! 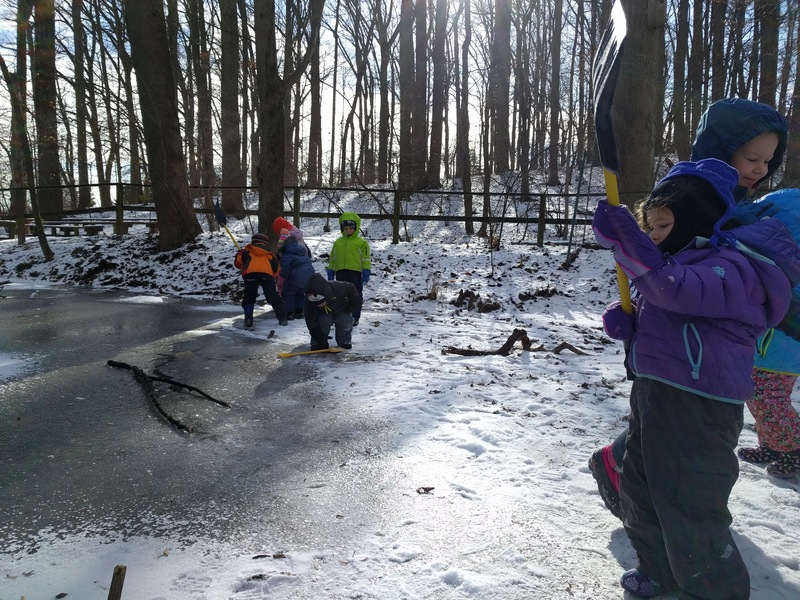 On Monday, the classes took advantage of the snow-covered ground to take to trails, hunting for animal tracks! Since we cannot see the nocturnal animals we are studying during the day, it was exciting to spy raccoon and fox tracks by our pond! 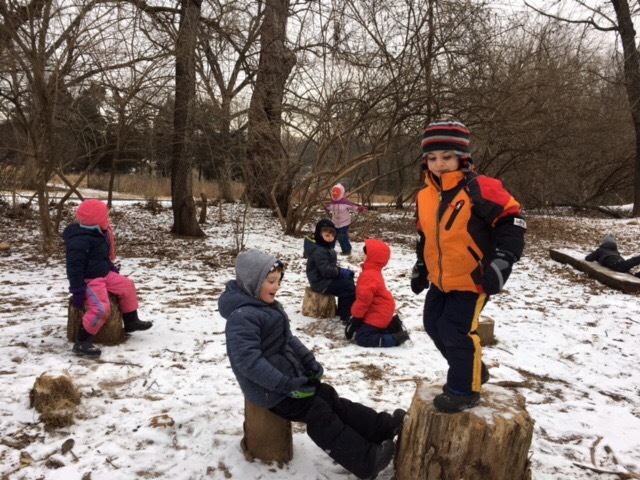 On Tuesday, the Detectives practiced using their super sense of sight, like owls, in large scale, outdoor hide and seek game. 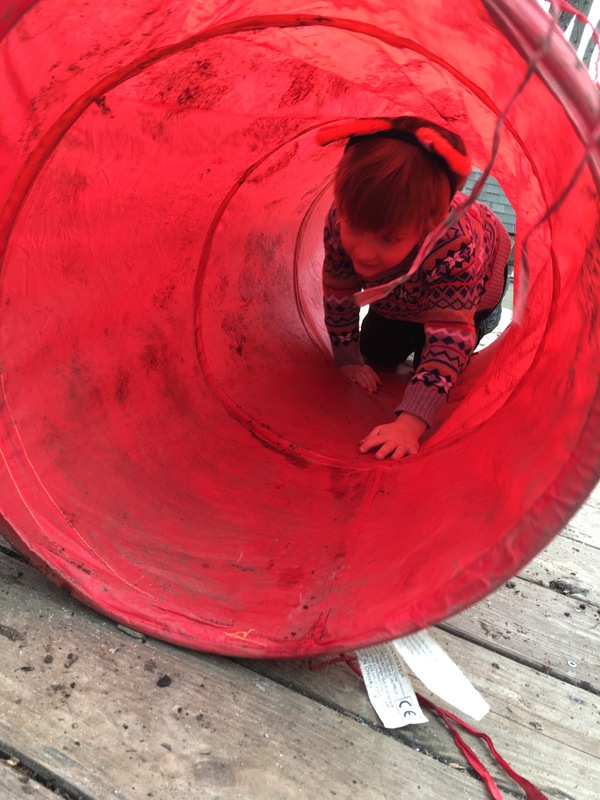 Despite being a bit larger than a normal owl, our Detectives found some expert spots to hide! 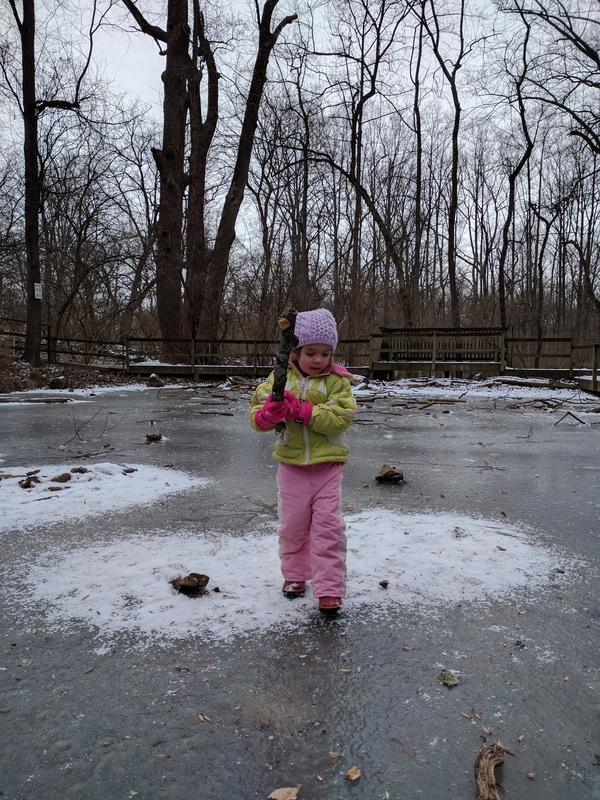 By Wednesday, the warmer temperatures brought melting snow and muddy puddles from rain. 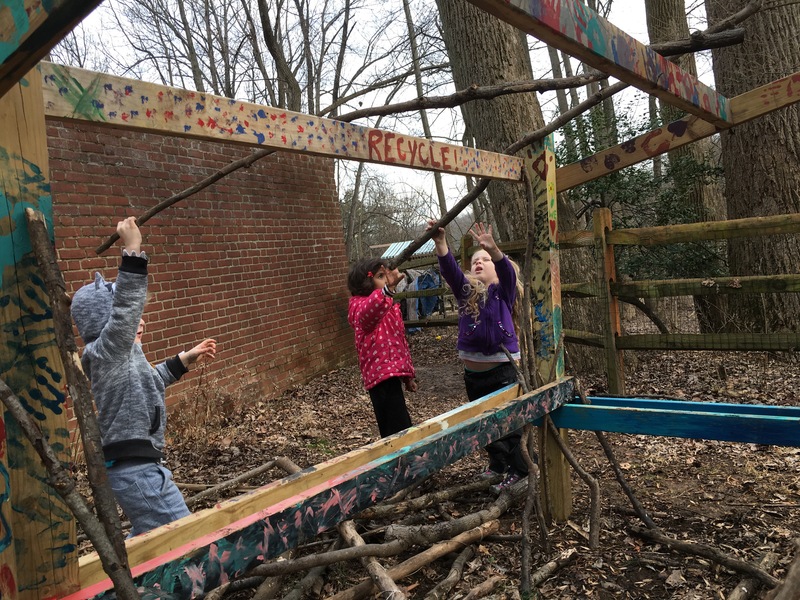 The Detective’s investigated the fox den’s we have at Audubon, looking for clues of activity. 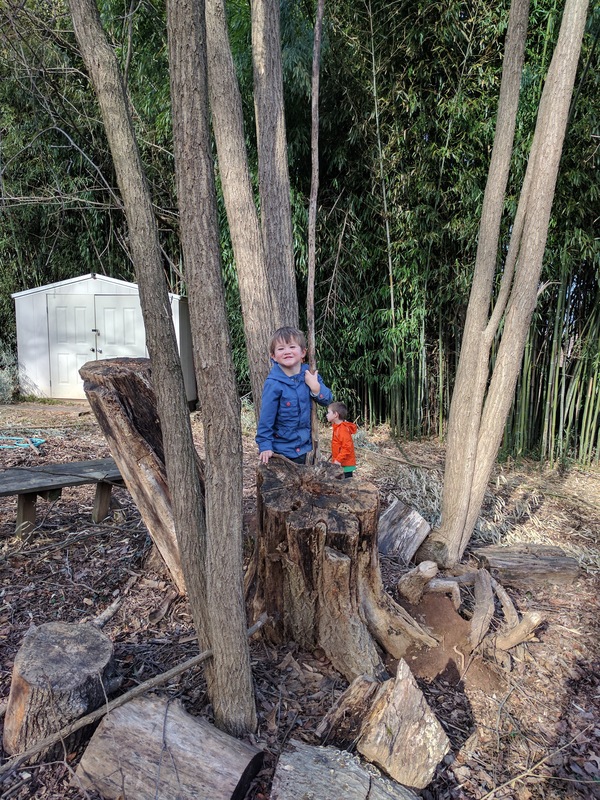 We learned that all fox den’s have both an entrance and exit hole, so the kids started digging and building their own dens in the outdoor classroom and bamboo forest. By Thursday, Sunny Ray had come out to play! 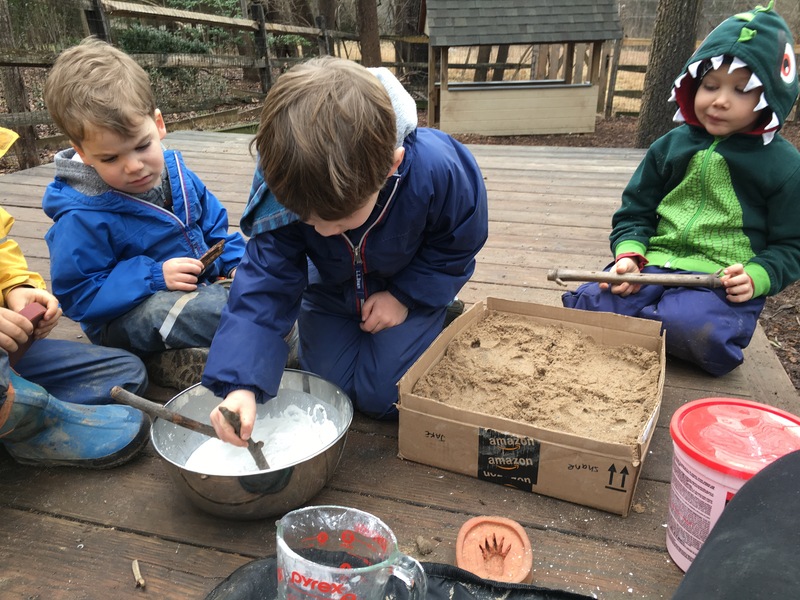 The Detectives enjoyed a much warmer day, with the AM class a trip out to castle climber in the woods, while others made plaster tracks on the playground. The PM class enjoyed our weekly visit from Ms. Susan, where she brought in lots of owl ephemera to share. The Detectives could be seen up in the trees cooing, “Whoo cooks for you! Who cooks for you,” the call of the local, Bard Owl. In the classroom, we kicked off our Birthday Bonanza week! The AM class celebrated three birthdays, and the afternoon class also celebrated two! Much of our indoor time this week was spent writing and illustrating birthday messages to each kiddo. 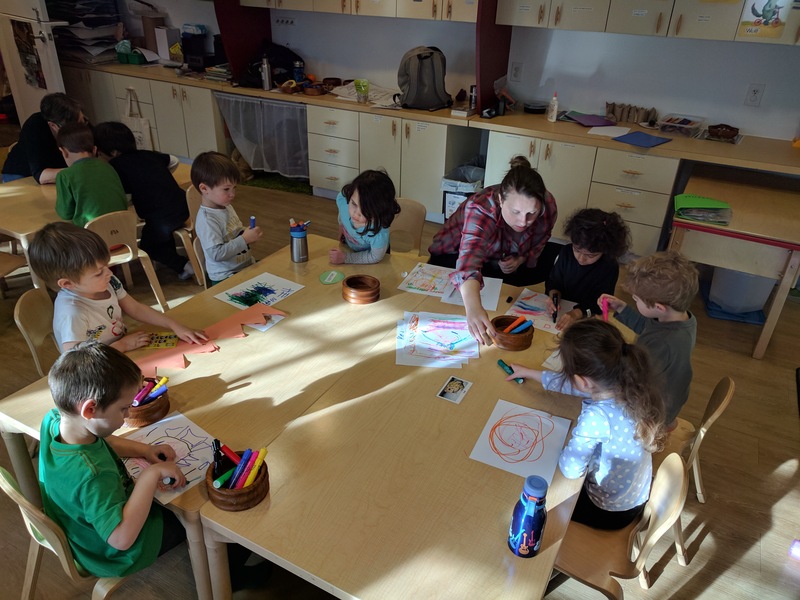 The special, scented markers got a lot of use, and it was wonderful to see the students create such kind and thoughtful messages for their peers. Even with all that excitement, we also had some intriguing nocturnal animal centers throughout the classroom. We focused on an owl’s super scene of sight, and a foxes super sense of hearing. In the dramatic play area, we created our own fox den, complete with fox costumes and all! 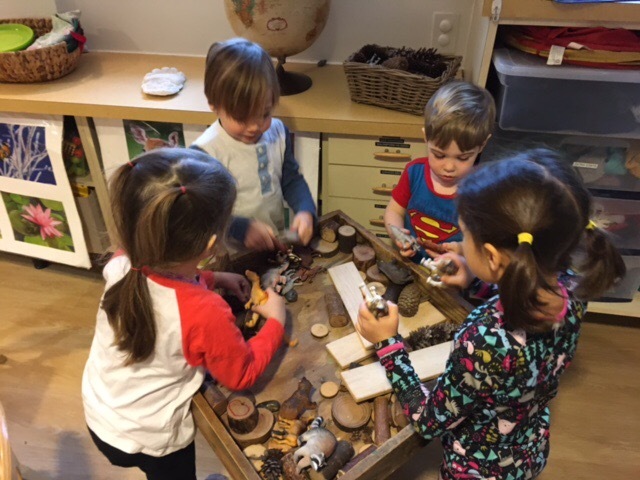 We continued that theme in the discovery table and block area, where kids would build their own fox den’s with the blocks, and were able to play with toy animals in a small world set up. In the lab table, we added child sized cheese graters and soap, where the detectives could work on creating their own, scented snow! This felt very relevant on Monday, but by Thursday felt a bit silly! We also played a ‘What’s Missing’ game on the carpet, to practice our super sense of sight, as well as worked on a new, fox floor puzzle. 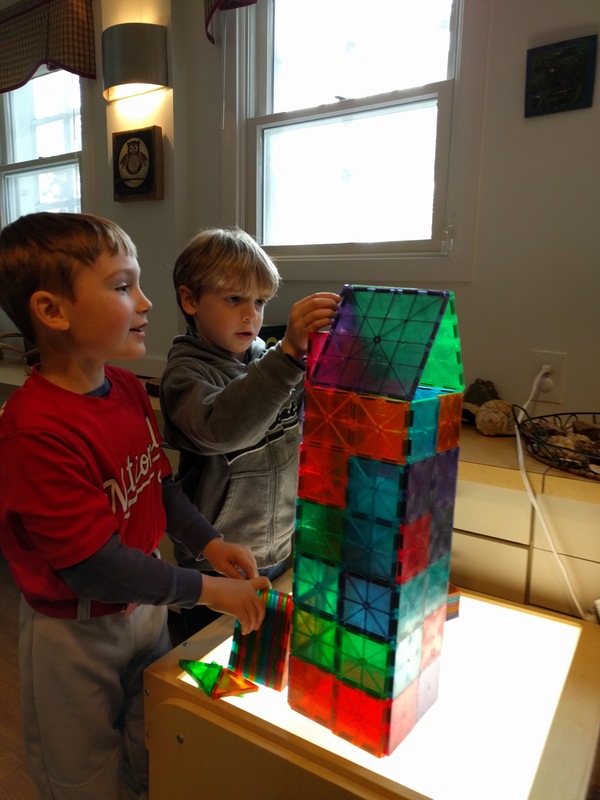 We also continued our exploration of light, with magnatiles on the light table. 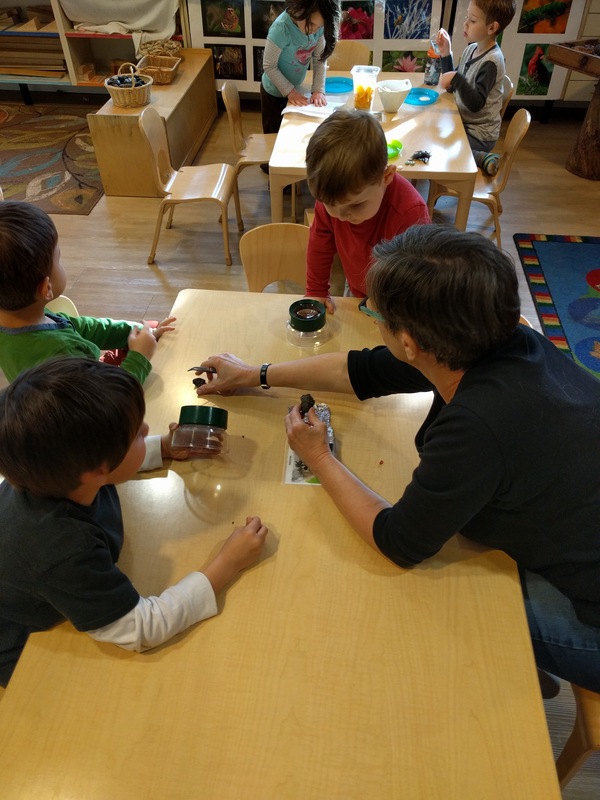 At the Raccoon table this week, the detectives got a chance to create both owls and foxes! 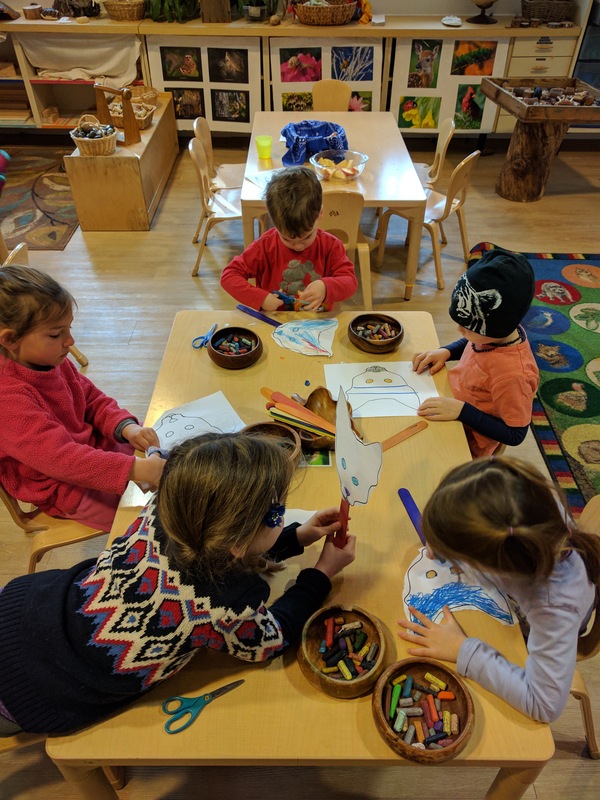 They were able to paint and decorate folded paper towel rolls in the shape of an owl, as well as color, cut and tape their very own fox mask. The masks were quite popular, and we had more than a few “foxes” prancing around the classroom. On Thursday, Ms. Susan brought in owl pellets for the PM class to dissect! The kids found small bones, getting to look at them through enlarged magnifying glasses. Ann-Mari brought in one of our favorite nocturnal animal books! 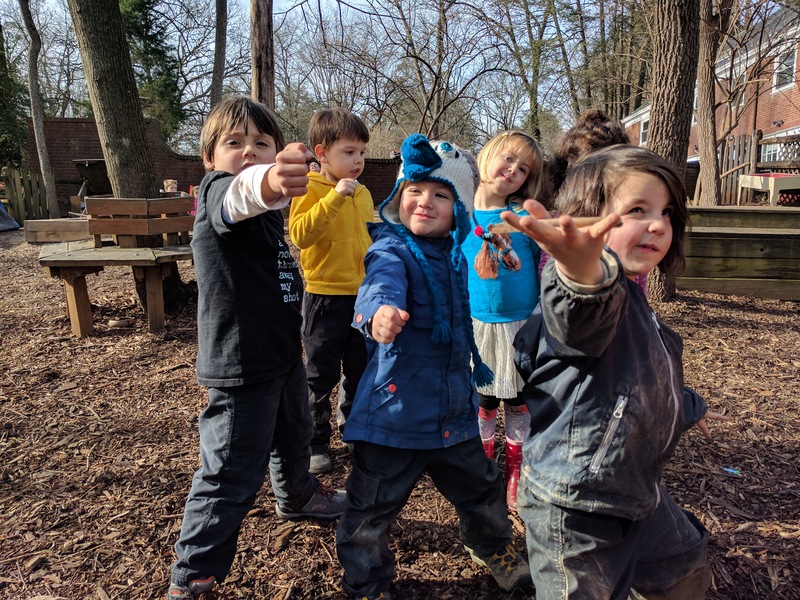 The books requires lots of detective work, as the children hear a clue and get to listen to the noise the animal makes, before making their guess to which animal was hiding in the nighttime! Spoiler Alert: Next week we are continuing to learn about Nocturnal Animals and their super senses!